A Way Better Opportunity. Currently over 125 stores have opened in 27 states, all of which are franchisee owned. Wayback Burgers also continues its international master expansion into 35 countries. Window Genie specializes in window cleaning, window tinting, pressure washing, gutter cleaning and holiday lighting. With a home-based, mobile Window Genie business, franchisees enjoy low overhead, multiple revenue streams, and a predictable work schedule. 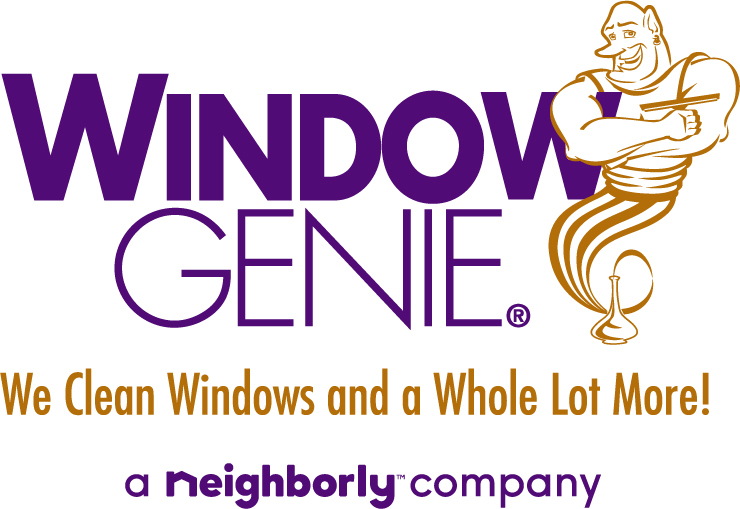 Window Genie is backed by Neighborly, one of the world's largest families of service-based franchises. At WaBa Grill, they strive to serve the best possible teriyaki menu items using 100% all natural ingredients, and no artificial additives like MSG. The flavor of their teriyaki sauce comes from fresh fruits and vegetables. They use boneless, skinless, fat-trimmed chicken, and high quality steak, ribs, and salmon. Their salads are prepared shortly before serving, and all meats are charbroiled. No oil is ever used for cooking, and nothing is fried. Customers will enjoy the clean, low-fat, healthy entrees freshly prepared to order that appeal to their desire for tasty food, served at "on the go" speed. Waffle Brothers is a restaurant franchise that specializes in waffles. They also offer an extensive breakfast menu including eggs, bacon, sausage, breakfast burritos, and coffee along with a variety of yummy gluten free edibles. Be the next Waffle Brother! Waggin’ Tailz, now known as Snaggle Foot Dog Walking and Pet Care, is a small franchise business that focuses on providing excellent dog and pet care, including a pet taxi and organizing pet field trips. Snaggle Foot also has a unique billing and scheduling system that allows customers to schedule appointments and pay bills effortlessly. We are a full-line specialty retail destination for cats and dogs; our services include self-service dog wash, full service grooming, in-house bakery or the extensive selection of products and all-natural pet foods. What started as a small dog wash and bakery has today blossomed into Wag N’ Wash Healthy Pet Center, a full-line specialty retail destination for cats and dogs. Wag N’ Wash Healthy Pet Centers are known for their extensive line of natural foods, unique merchandise and unsurpassed customer service. Wahoo’s Fish Taco is a fusion restaurant serving a blend of Mexican, Asian, and Brazilian cuisine. While the main dish is the fish taco, the popular item is unlike other fish tacos due to its international flavors. For customers who are not fans of seafood, steak, chicken, and tofu tacos are also available on the menu. The menu, however, is not too extensive, as Wahoo’s Fish Tacos prefers to delight its customers with a few reliably great dishes. The restaurant has a distinct surf décor theme that helps to establish a fun, yet relaxed atmosphere. With The WAITING GAMEÂ® you have the pride of owning your own business providing a high-quality, low-cost advertising tool for local businesses, and a great monthly publication for your community. Wallace Property Management Group simplifies the complex world of residential property management for franchise owners throughout the country! This is a great opportunity for the right franchise owner. Regardless of your background or experience, our well-established business model, combined with the guidance and support from our team of experts, makes this a great opportunity. Wallbeds ‘n’ More sells beds which fold up into walls, and other discreet locations. The investment includes a complete sales to delivery strategy that simplifies the entire process while Wallbeds ‘n’ More handles every element of delivery and customer satisfaction. Wall Street Deli serves the finest quality foods and specializes in freshly prepared gourmet sandwiches, soups and salads. With a presence in most major cities around the United States, we are the recognized expert for all of your corporate catering needs. Atlanta-based Wall Zappers LLC was founded in 2008 with one mission in mind - to make personal photos come to life with eye popping. We are defining this unique new industry segment by allowing consumers and businesses to turn their personal photos and designs into life-sized vinylwall graphics, at prices 50% less than traditional signage shops. We currently sell our products in some of the world's largest retailers, and are quickly expanding our concept through our Wall Zapper Franchise Opportunity. The first company to popularize life-sized wall graphics has become a household name by offering images of professional athletes and celebrities. Wall Zappers has taken that concept to the personal level. We have found that consumers would rather have images of their own interests rather than their favorite stars. Walpert Healthcare, Inc. We are the leader in the $2.4 billion MedSpa industry. Our proven system for operations and management helps our licensees successfully open and grow their own MedSpa Boutique centers. Utilizing the most advanced FDA-approved laser technology, Walpert Healthcare, Inc. offers its licensees the opportunity to participate in one of the fastest growing and in-demand industries in American aesthetic healthcare. Water 2 Wine is a unique winery that provides its customers with wine tastings and private label products that cannot be found in typical wine shops. Water 2 Wine brews wine on the premises, using only the finest grapes from fantastic vineyards around the globe. Additionally, Water 2 Wine stocks over 100 wines originating in 13 countries, sure to delight wine connoisseurs and casual drinkers alike. Water 2 Wine carefully creates a relaxing atmosphere where friends or lovers can share a good time with a nice bottle of wine. Waterway Fire Hose and Ground Ladder Testing franchise is the nation's fastest-growing provider of fire hose testing and ground ladder testing services to America's Fire Departments. In 1989, Waterway introduced fire departments and fire safety providers to the concept of outsourced fire hose testing. WaveMAX® is changing the way coin laundry locations are built, perceived, and operated. WaveMAX means clean, well lit environments with the best equipment and amenities in the industry - using high efficiency washers and dryers with full-time attendants, wash, dry, and fold services, and free Wi-Fi. Wax on Wheels has been a leader in the automotive appearance industry since 1987 with dozens of successful owner/operators located all over the United States. We currently sell a fully loaded trailer for $8,995 and also offer a complete full line of patented synthetic polymer waxes, cleaners, polishes, chemicals and auto detailing supplies. We are now creating partnerships with just 50 individuals to continue to expand the scope of ownership and opportunity with the Wax on Wheels brand name.